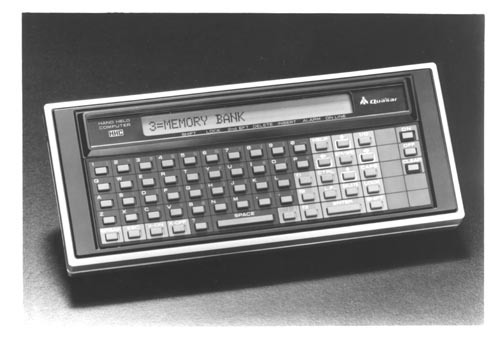 B&W image of the Quasar hand held computer made by HHC Company. It has a keyboard and small screen. Screen has "3=MDMORY BANK" displayed.